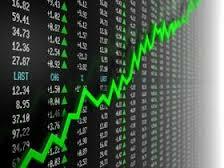 World stock markets have seen a rebound as the price of oil climbed higher today boosting energy stocks. Raw material producers also saw their shares increase adding to the gains. There were some other positive notes too with the US warming its relationship with Cuba while Canada’s exports also showed progress. Eight out of the ten main sectors on the S&P TSX Composite Index increased with energy gaining 5 per cent after also rising yesterday. The two-day increase is the highest for more than 5 years.